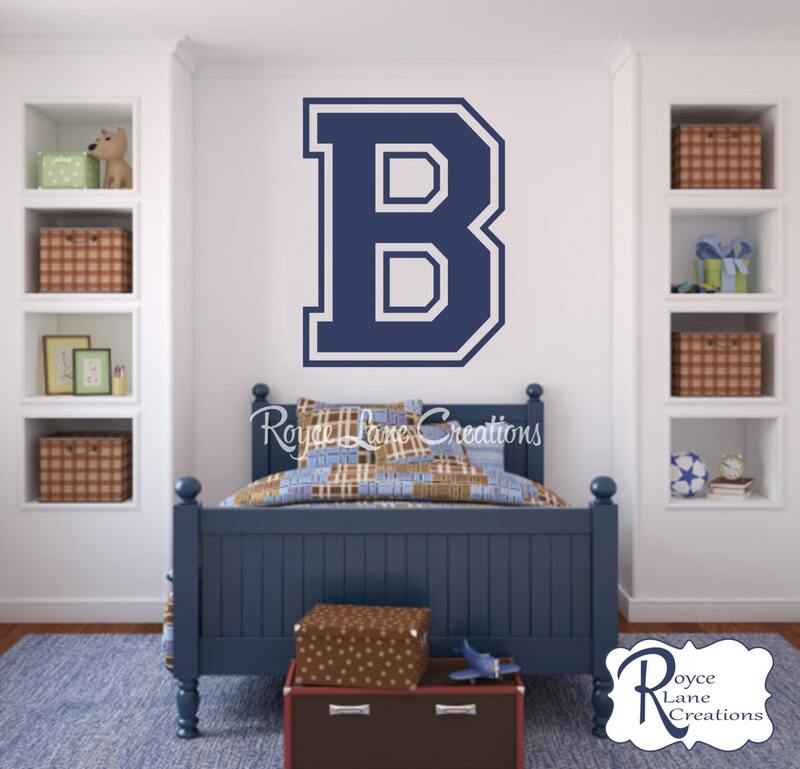 This initial decal is a larger size of the varsity initial. It is perfect for use above all sized beds. This decal measures 22.5" wide by 32" tall. It comes in the color of your choice.